Our best selling Lullaby Album has 12 heartwarming videos set to Word-For-Word Scripture. These videos are an awesome way to experience God's Word with your baby, toddlers and family. Start planning God's Word in the hearts of your children today. This video is awesome for expecting mothers, newborn babies, toddlers, nurseries, day cares, preschools and more. This also makes an incredible gift for new moms and baby dedications. These videos are to be enjoyed at home or on the road and is an awesome Christian alternative to mainstream media. These videos are amazing for your kids! What is better than your kids enjoying amazing music videos while learning God’s Word. This is our most fun set of videos yet! These videos are the hallmark of the 15 years that we have created music because it is all about our Lord and Savior, JESUS! The main part of this series is all new music that will get your family and kids singing and worshiping Jesus while memorizing His Word. But there is more… We are releasing our first songs in Spanish as bonus tracks on this series. 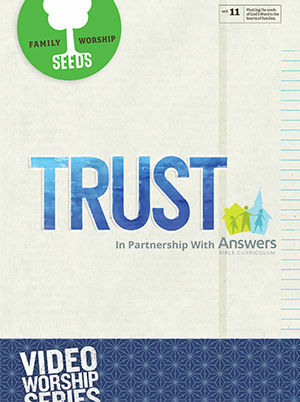 Seeds TRUST@ Home: This video is to be enjoyed at home or on the road and is an awesome Christian alternative to mainstream media. These videos are amazing for your kids! What is better than your kids enjoying amazing music videos while learning God’s Word? 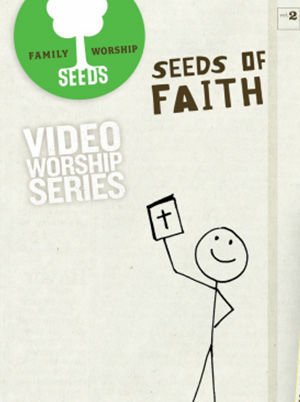 Kids also LOVE doing the hand motion videos with Seeds ‘Worship Girl’. This is our most fun set of videos yet! These videos were also created to give families a fun, meaningful way to share family devotions together. Watch a video, memorize a scripture and talk about what it means. If you have never done family devotions together, this is an easy first step. Nine of the songs also have hand motions videos that were made to help engage kids in worship. These official Seeds Family Worship hand motions have been tested in kids worship across the country. There are thousands of ways that your family can be distracted away from the true meaning of Easter. We believe this Seeds of Easter music and videos will help prepare your family’s heart to focus on Jesus death and resurrection. 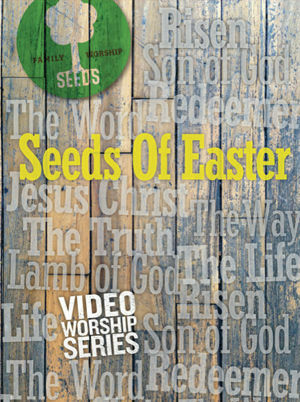 We believe the music/videos to word-for-word scripture will help your family go deeper with Jesus this Easter season. These videos were made to be enjoyed at home, on the road, or at church and are an awesome alternative to mainstream media. These songs and videos make memorizing God's Word fun, meaningful and effortless. These videos were also created to give families a fun, meaningful way to share family devotions together. Watch a video, memorize a scripture and talk about what it means. If you have never done family devotions together, this is an easy first step. 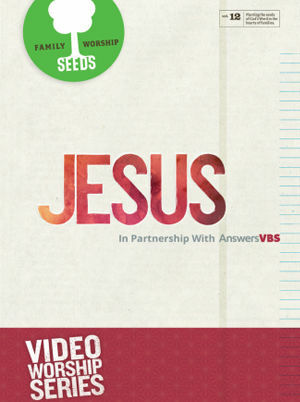 Seeds videos are also awesome for Children's Church worship! What's better than your kids praising God while singing word-for-word scripture? They get to worship God while storing His Word in their hearts! Worship music with lyrics directly from the Bible. Sing! Learn! Memorize! Hide God's Word in your heart! Jesus has a purpose for our lives! 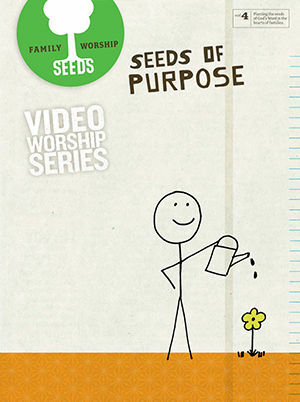 In Seeds of Purpose we explore some of the scriptures that talk about and define our purpose. Worship Music for the whole family with lyrics directly from the Bible. Sing! Worship! Learn! Memorize! Hide God's Word in Your Heart! 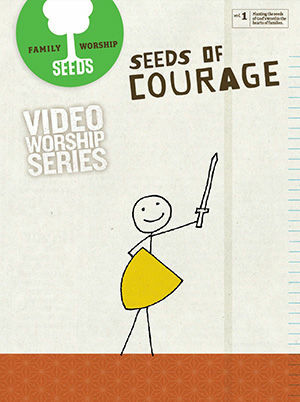 The Seeds of Courage videos will help your kids, family and church experience God's Word in a meaningful way. This video was made to be enjoyed at home or on the road and is an awesome Christian alternative to mainstream media. These videos were created to give families a fun, meaningful way to share family devotions together. Watch a video, memorize a scripture and talk about what it means. If you have never done family devotions together, this is an easy first step. Use these videos at church! What better way is there to help kids worship God than by singing Word-for-Word scripture while watching inspirational images? 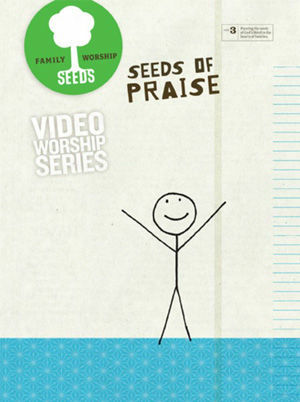 Five of the songs have hand motions videos that were made to help engage kids in worship. These official Seeds Family Worship hand motions have been tested in kids worship across the country. The Word of God videos will help your kids, family and church experience God's Word in a meaningful way. This video was made to be enjoyed at home or on the road and is an awesome Christian alternative to mainstream media. 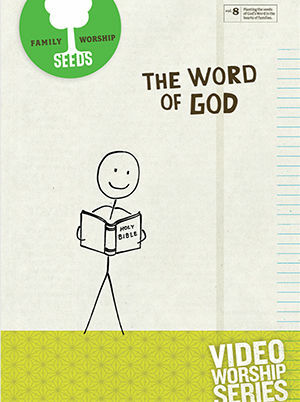 The Seeds of Faith videos will help your kids, family and church experience God's Word in a meaningful way. This video was made to be enjoyed at home or on the road and is an awesome Christian alternative to mainstream media. Power of Encouragement Videos @ Home: These videos were made to be enjoyed at home or on the road and are an awesome alternative to mainstream media. These songs and videos make memorizing God’s Word fun, meaningful and effortless. These videos were also created to give families a fun, meaningful way to share family devotions together. Watch a video, memorize a scripture and talk about what it means. If you have never done family devotions together, this is an easy first step. 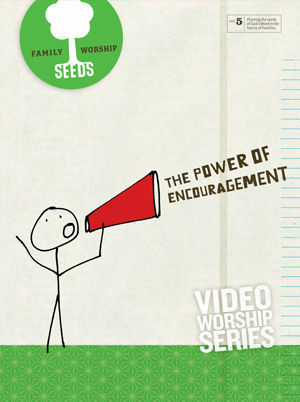 Power of Encouragement Videos @ Church: Seeds videos are AWESOME for Children’s Church worship! What’s better than your kids praising God while singing word-for-word scripture? They get to worship God while storing His Word in their hearts! Seven of the songs also have hand motion videos that were made to help engage your kids in worship. These official Seeds Family Worship Hand Motions have been tested in Kids Worship across the country. The hand motion videos come in both split screen and picture-in-picture videos. Seeds of Character Videos @ Home: These videos were made to be enjoyed at home or on the road and are an awesome alternative to mainstream media. These songs and videos make memorizing God's Word fun, meaningful and effortless. These videos were also created to give families a fun, meaningful way to share family devotions together. Watch a video, memorize a scripture and talk about what it means. If you have never done family devotions together, this is an easy first step. 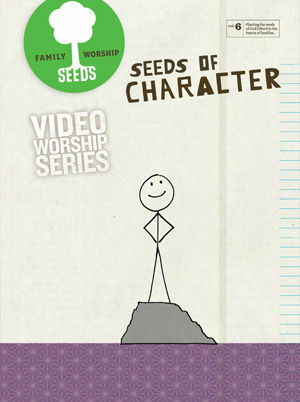 Seeds of Character Videos @ Church: Seeds videos are AWESOME for Children's Church worship! What's better than your kids praising God while singing word-for-word scripture? They get to worship God while storing His Word in their hearts! Six of the songs also have hand motion videos that were made to help engage your kids in worship. These official Seeds Family Worship Hand Motions have been tested in Kids Worship across the country. The hand motions come in both split screen and picture-in-picture videos. There are thousands of ways that your family can be distracted away from the true meaning of Christmas. 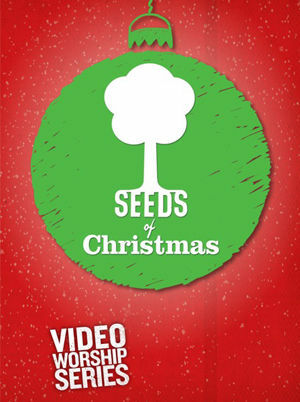 We believe this Seeds of Christmas will help prepare your family's heart to focus on and celebrate the birth of Jesus. This musical video journey will take your family through the prophesies in Isaiah and Micah to the incredible accounts of Jesus's miraculous birth in Matthew and Luke. This is not your typical Christmas show - it is a musical journey that endeavors to to capture the mystery and majesty of the Christmas Story! God has blessed this project in a very special way and we believe the music/videos to word-for-word scripture will help your family do deeper with Jesus this Christmas season. The true gift of Christmas is Jesus and this video will help your family and church celebrate Him! featuring has been your queue. The link that you have clicked will take you away from the RightNowMedia.org website to download or purchase supplemental materials. Any questions about the materials or the purchasing process should be directed back to this third-party website. Interested in learning more about RightNow Media? Select the channel that you want to add this piece of content to from the dropdown and click the "Add to Channel" button. You do not currently have any custom channels. Please visit your custom library to add channels. Select any of the listed formats to download the trailer, or copy the embed code into your page's HTML to embed the video. Now that you have created a new account for RightNow Media, you may know some other people from your church that should have FREE access as well. In the box below, please add the email addresses for people from your small group, your spouse, and your friends from church. Enter or paste email addresses from others in your church or organization (spouse, group members, pastors, etc.) in the textbox below. Separate multiple emails addresses with a comma (,) or semicolon (;) or put each email address on a separate line. Learn more about different user roles. If your computer is running on Windows 7, please install Google Chrome or Firefox to watch RightNow videos. Due to the security risks associated with Windows XP, we are no longer supporting video playback on this operating system.